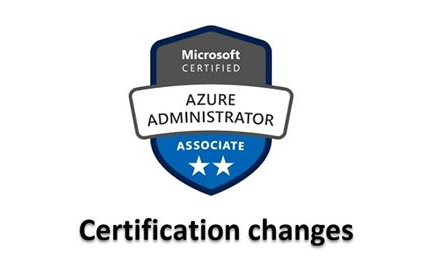 Liberty Munson just announced on the Microsoft Learning Blog that they are simplifying the certification path for Microsoft Certified: Azure Administrator Associate. Basically, they are retiring the AZ-100 and AZ-101 exams at the end of May 2019 and replacing them with the single exam AZ-103. My friend, Tiago Costa goes through the changes in more detail on his website. Be the first to comment on "Azure Admin Changes"